Industrial plants are facing the release of a wide range of pollutants with a potentially harmful impact on workers’ health and surrounding areas. Bertin Instruments provides equipment to measure and limit the side-effects. Industrial plant such as cooling towers, composting plants, waste-sorting plants, green waste collection centres and wastewater treatment plants deal with an increased range of chemical, biological and radiological pollutants that risk impacting on the health of workers and people living in neighbouring residential areas. Coriolis µ bio-air sampler used for rapid microbiological detection and air quality control processes. Bertin Instruments provides a full range of professional equipment for radiation or contamination monitoring and measurement, to ensure the protection of workers and the environment. Environmental radiation surveillance and early warning solutions related to the measurement of radioactivity and chemicals in air, soil and water. Radiation portal monitors are specifically designed for the detection of very low radioactive contamination and orphan sources at high traffic flow gates for vehicles, cargo, containers and pedestrians. A complete range of products for Radon risk assessment, from personal exposure to reference radon measurements. Coriolis Air samplers collect biological particles in the air which offer new perspectives for the control of airborne contamination thanks to its liquid sample. Solutions de surveillance environnementale et d’alerte rapide liées à la mesure de la radioactivité et des produits chimiques dans l’air, le sol et l’eau. Elemental Analysis allows to determine the atomic composition of a sample. Bertin Instruments proposes systems for on-line or lab applications by laser spectroscopy. 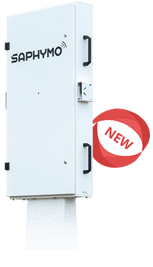 SaphyGATE G is an easy-to-use Radiation Portal Monitor optimized for truck, train and cargo radiation control. It is based on large-surface, high-volume plastic detectors providing the highest sensitivity. 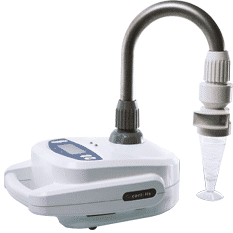 Coriolis µ is a Biological Air Sampler for bio-contamination quality control compatible with all analysis methods thanks to its liquid output.